This demo demonstrates a procedure for image acquisition from a camera equipped with serial interface on CMOS levels using FLEX. FLEX is a platform board for embedded modular systems that exploits the potential of Microchip family’s dsPIC DSC microcontroller. 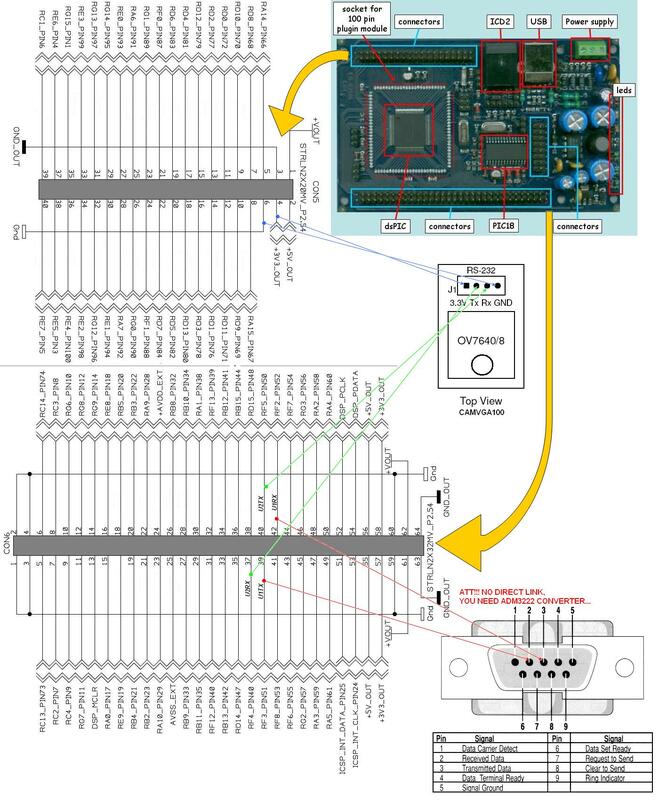 It is an ideal board for developing real-time applications because the onboard dsPIC33FJ256MC710 microcontroller supports advanced real-time kernel, such as the Evidence Srl’s Erika Enterprise. The CAMVGA100 JPEG Compression Module performs as a video camera or a JPEG compressed still camera and, it can be attached to a host. Users can send out a snapshot command from the host in order to capture a full resolution single-frame still picture. The picture is then compressed by the JPEG engine and transferred to the host via a serial link (UART on CMOS 3.3 V level). The camera can transmit the image at different baudrates over the serial bus. It is also possible to choose a particular image format, includes B&W and Colour. On the PC side the application is able to acquire images (size 80x60 or 80x64 for jpeg images to get fast video) from COMx port (9600 bps, 19200 bps, 38400 bps) and process data (colour conversion or decompression in case of jpeg images, and frame display with FLTK library). The PC side demo has been developed under Microsoft Windows with the Cygwin environment and it uses the free graphics library FLTK version 1.1 (available also as Cygwin package) for displaying images. This demo can be used to learn FLEX board with an image acquisition application on it. 2) A Win32 application for serial data acquisition and image visualization. The program uses cygwin1.dll (included in the distribution), that can either be shared through the windows PATH environment variable or be placed in the executable directory kamagra pills. The program must be executed in a command prompt window (Microsoft/Cygwin). The program execution details are explained in file ‘PC-Side Readme.pdf’. For further information, please refer the document section under the ‘PC_side’ directory. FLEX Base Board (Light or Full). Home made PCB for serial RS232 voltage conversion. Using the Project Wizard, create a new MPLAB project in the Flex -side directory and build the executable file. Or alternatively, using the $ makefile to create the project. Then program the microchip device by means of an ICD2 programmer. Check all wiring and connections, and also verify that the serial transmitter and receiver, both are set at the same baudrate. 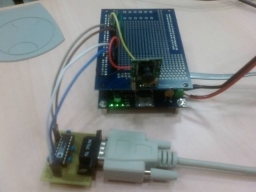 This demo application permits to verify proper functioning of most of the dsPIC33F microcontroller peripherals.